A new research suggests higher temperatures could release more carbon than we thought, potentially creating a dangerous feedback loop that would cause the planet to get hotter and hotter. Carbon dioxide in the air is causing the planet to warm—but the higher temperatures may cause still more carbon dioxide to end up in the atmosphere. And a new study published today in the journal Science suggests the impact could be larger and more complicated than scientists had previously expected, not to mention difficult to counter. 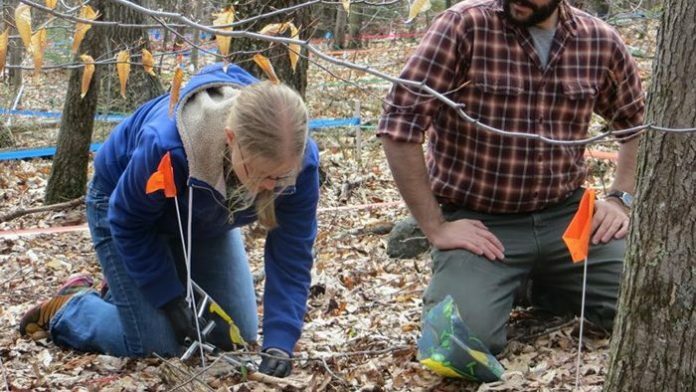 Melillo has spent almost three decades heating small sections of a Massachusetts forest owned by Harvard University and measuring how much carbon is released. The new paper reports on 26 years’ worth of data. Melillo and his colleagues look at three different types of forest plots. In one set, they installed heating cables in the soil and set them to heat it about 10 degrees warmer than the air around it. In another type of plot, they installed the heaters but never turned them on, just in case the physical disturbance affects plants. The third set of plots were left untouched. For the first decade or so of the study, the impact of warming seemed both straightforward and serious, with carbon released from the heated soil rising dramatically. Then, suddenly, the effect disappeared—but Melillo and his colleagues didn’t stop watching the experiment. “We wanted to make sure we’d gotten to the end of the story,” he said. And about seven years later, they were rewarded, in a way, by another increase in carbon release from the heated plots. Since then, carbon release has petered off again. Over the course of the project, the team has used the available technology—which changed dramatically over 26 years, of course—to see what’s happening in the microbial communities in the soil. Melillo says that from those results, the team believes that during the peak periods, microbes are using up a plentiful supply of food. But when that runs out, the community has to find a new source of food, leading to the lulls in carbon release. “We think that one of the things that may be happening is both a reorganization of the microbial community structure and its functional capacity,” he said. All told, Melillo and his colleagues calculated that the heated soil lost about 17 percent of its stored carbon, although that number won’t necessarily hold across ecosystems. “The fact that they’ve said it will lose 17 percent of the carbon, that number is going to be debated for a long time,” Rattan Lal, a soil scientist at the Ohio State University who isn’t affiliated with the project, says. He adds that there are thousands of types of soil worldwide, each with a different structure that could impact how easily microbes can reach carbon to break it down. And it turns out we may be able to control the situation even without controlling climate change—if we take good care of our soil. “People like me, our goal is to put carbon back in the soil and protect it from decomposition,” Lal said. “Therefore, we focus on the management.” That can include techniques like planting cover crops, mulching to keep soil cooler and using nanoparticles to protect soil structure, he says. Though these results have been published, the experiment isn’t over yet. Even when Melillo is ready to move on, he intends to pass it on to younger scientists rather than pull the plug on the project. “It’s like a book that you can’t put down,” he said.